Bennett Engineering are an engineering design consultancy with more than 40 years’ experience between us of designing commercial products, machine modernisations and value engineering for many industries. 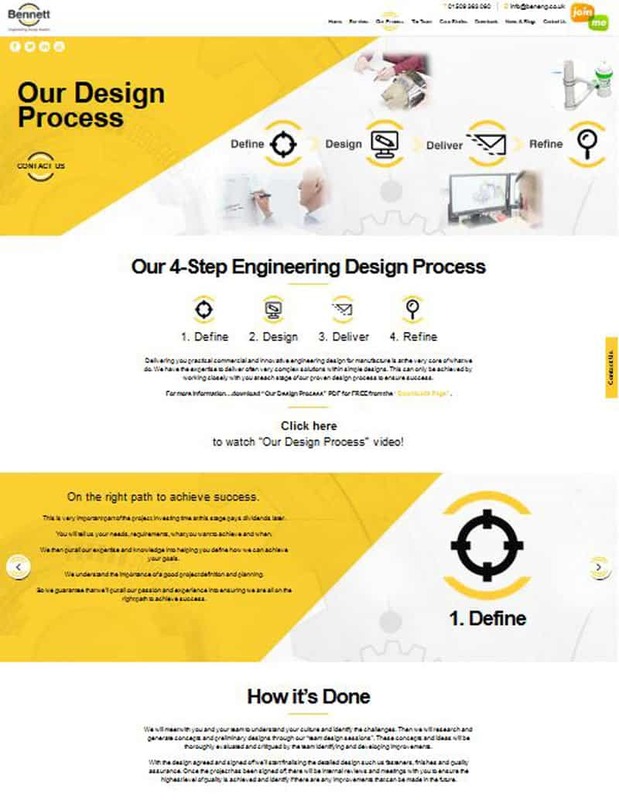 They wanted us to bring their site up to date with a clean feel, giving them a systematic functioning site which clearly displayed their goods and services. We retouched their logo, taking inspiration from this we designed and built their site around their brand.